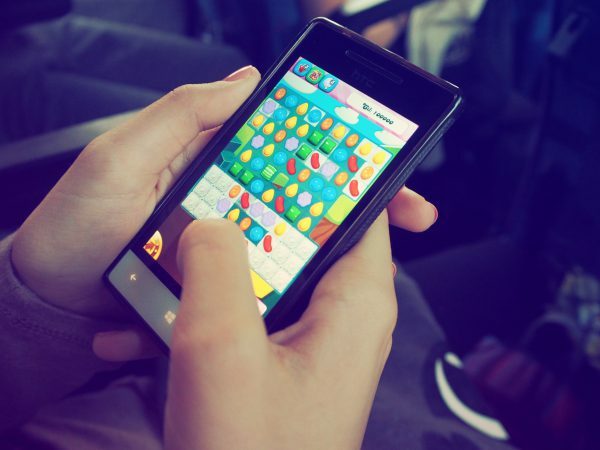 One of the most popular mobile games genres is a puzzle. While this genre is perfect to kill time, there is certainly something more about it. Unlike most arcades, shooters, and RPGs, puzzles appeal to your logic, memory, attention, and other cognitive skills. At the same time, today’s puzzles are more than just a set of tasks to complete. Usually, they can boast of amazing graphics, well-thought plot, and even appealing characters, but the main feature of this genre is to set your brain in motion. Therefore, this entertainment is popular among players of all ages. Why puzzle games are so popular? Kids are not the only ones, who like solving puzzles! For example, it is perfect for those, who have tight working schedules and seek for some breaks that won’t make their mind too relaxed. Also, all types of techies prefer improving their logical abilities instead of testing reflexes, so they choose this genre more often than shooters and adventures. 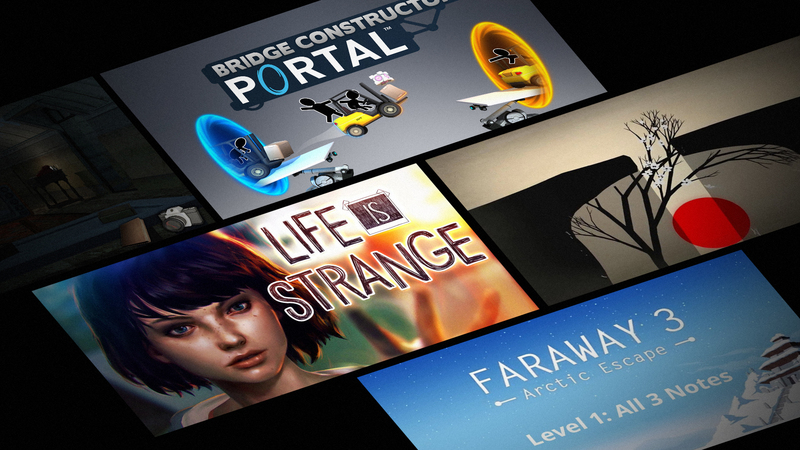 From old-school and plain Tetris to advanced and story-driven Portal, puzzle games can offer a wide range of unique features and approaches. It is hard to say for certain, but today’s main trend in the world of puzzle quests must be a mix of various genres and focus on both plot and set of tasks. Of course, gamers still value relaxing titles that have simple rules and require similar manipulations with objects and interactions with the environment. Physics, abstractions, and shapes are not going anywhere, therefore meditative and simple MC Esher and Tiny Bubbles are still on the top of charts. However, more and more developers believe that puzzles should be more advanced. For instance, Deus Ex, one of the most popular ones, offers a complicated plot, where you have to reveal mysteries one by one to get a full story. Life is Strange, another story-based puzzle is full of drama elements. Consequently, the two most expected games of 2019 differ exactly in terms of concept. Manifold Garden lacks storytelling but offers dizzying physical-based gameplay. While the second one – The Sojourn – uses puzzle format and plot to answer the questions of the nature of being. What is the main concept? Is this going to be a common puzzle format or something completely new? How the levels will work? Shall we make a random generator or create each one from the ground up? What budget and monetization plan do we have? After answering these four questions, one can decide the basis of the future game. The process and its length will depend on plenty of factors. Central moments to focus on are the aim of the product and the sub-genre elements it is going to use. Knowing this, developers will start working on basic mechanics and puzzles. Coming up with original and interesting puzzles is not so easy, but testing them is even harder. The problem is that it is almost impossible to evaluate puzzles for complexity and engagement level if you are a developer. You should agree, that when you know the correct answers, it is difficult to say whether your puzzles are complex and interesting enough. Still, developers have professional knowledge about a structure and inner logic of a game, therefore they can provide a certain degree of confidence about future reception. Puzzle games are created gradually and tested attentively on every step of the process. It starts with mechanics and moves to features, details, visuals, and launch/marketing plan. Finally, a complete game might be presented to a limited audience to test it in action. Developers gather and analyze feedback and make adjustments if needed. After that, a game goes to the mass market. Here is the list of the best puzzle games for Android you can try in 2019. We have already mentioned a famous game called Portal and here is Bridge Constructor – its spin-off. Events take place in the rooms of a laboratory, where you have to open portals and move the vehicles. Just make sure to avoid obstacles, such as lasers and acid. Here, puzzle-solving gets more complicated because players should not just think but also move actively. This is one of the most popular escape puzzle titles. You find yourself in a bunker with a very strong feeling that something terrible is about to happen, so you should get out. However, a bunker consists of a great number of rooms stuffed with puzzles. You cannot leave before you solve them all. In the third part of Faraway, players will solve board puzzles. Every board is unique and has a set of interesting tasks as well as a plot behind it. In general, there are more than 15 different levels to check. By the way, previous Faraway titles are no less great than this one. Life is Strange is focused on the story of a young girl, who can control time. With such a super-power at hand, she can change various situations of her life. You will come back to redo different moments and fix the mistakes of her past. In most cases, you will have to come back to the same point more than once. Each situation contains a number of puzzles to solve. Minimalistic and beautiful Prune uses an unusual concept. Here, puzzles are implemented in the process of planting a nursing a tree. Your aim is to let it reach the light and grow. There are 45+ stages here and you win when the tree becomes big enough. Puzzle games have been popular for decades. No wonder – they are addictive, interesting, and make our brains stay in sporting form. Today, there is still a high demand for puzzle games. Android and other platforms are flooded with digital products of this kind and more of them appear almost every day. Both story-driven and abstract titles find their wide audience and gain leading positions in charts. Developing such products is not an easy task, but our team is always ready to assist you in producing mind-blowing games that will capture even the Riddler’s attention.